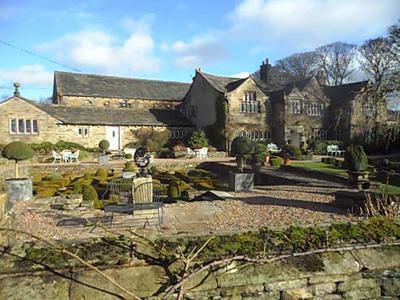 A grand Jacobean manor built in 1633, Holdsworth House stands in stunning, secluded gardens, just 3 miles north of Halifax in a dramatic landscape with thirty nine bedrooms and elegant reception rooms. This privately owned hotel feelsa world apart from the bustle of everyday life, providing a haven of peace and quality in an age when it is too often forgotten that the customer is also a guest. 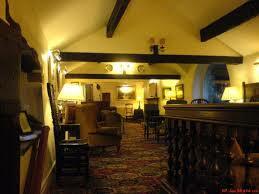 Open log firesd, cosy lounges, fine antiques and tapestries all add to a sense of calm and comfort. 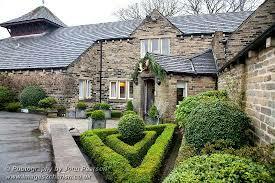 The exquisite oak panelled restaurant with its magnificent mullioned windows is one of Yorkshire's finest with 2 AA Rosettes and the enthusiastic kitchen brigade are diligent about sourcing the best of local produce for their seasonal menus. As West Yorkshire's top independent three star hotel, all guests receive a warm welcome, free onsite parking and free wifi.